The notion that Canada is a melting pot of various cultures is something I had heard before landing here a year ago. But coming from a culture and heritage-rich country like India, I was curious to know about the artistic and cultural roots of Canada. My research began with the most interesting topic—food. Friends and acquaintances have taken me to different places to introduce me to the local food style. At the end of the trip I was left with a delicious taste in my mouth. But it's not only food; the architecture and the vintage charm has also mesmerized me. As I was walking on streets of Gastown, I was taken aback by the architecture. "Enchanting" is the only word I can think of. On my stroll I saw a number of small and large gift shops selling merchandise. I was looking for a gift item for my family in India. My brother likes to collect artifacts from various countries. Merchandise branded "Canada" was for sale everywhere, but nothing was really appealing. All of a sudden I was captivated by a gigantic red, blue and black wooden mask. 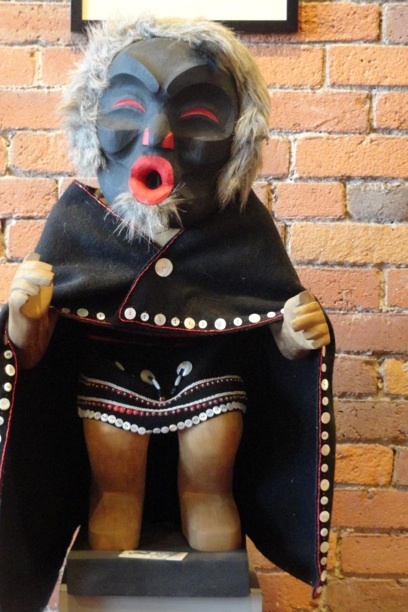 The Aboriginal artifact was part of a collection at Hill’s Native Art in Gastown. “The store was started as a corner store on Vancouver Island in 1946,” said Tim Strang, the gallery's marketing manager. After a long run from 1936, the store had branched out to Gastown in 1976. It was initially named "Hill’s Indian Crafts". At its inception, the market was targeted at tourists who were looking for novelties. “In those days these items were not regarded as art,” said Strang. 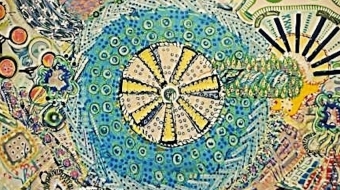 Strang added that during his decade-long tenure in the store, he has seen a lot of change in the outlook towards this type of artwork. The primary step came in the changing of the name. “Apart from the significant name change, I have seen the market change,” said Strang. As you walk into the first level of the store there are various items such as masks, totems, sweaters, jewelry, giftware, clothing, carvings and shoes on display. There is a great mix of artifacts from different categories. “We always have room for different artists in our store, from experienced ones to beginners,” said Strang. Most of the art pieces are handmade by First Nations artists from British Columbia. “We have been buying artifacts for 66 years,” said Strang. 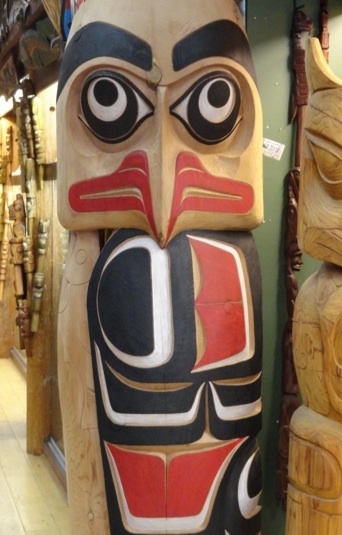 The artwork in the store is famous for its coastal origins, where First Nations rely heavily on cedar trees and salmon. The lives of the coastal people are intertwined with these key elements of the natural environment. “The salmon that is not being eaten up is used as nutrition for the cedar trees" said Strang. Consumerism and the high influx of tourists have created a lot of demand for First Nations artifacts all across the country. But not all items sold are authentic. Some of the items for sale can be made in different countries and are not always original. “The art form can be now learned,” said Strang. 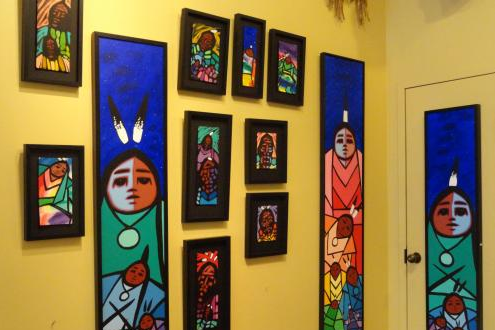 The artwork at Hill's Native Art is mostly part of this dynastic tradition. 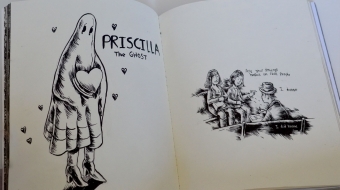 The store so far has biographies of 1200 artists. Out of this, about 300 families exclusively make a living out of producing and selling artwork. Strang explained that the profile of buyers has changed in the last couple of years. First it was just limited to only tourists, but now the horizon seems to have expanded. “First, our primary buyers were predominantly from the U.S.A.,” said Strang.